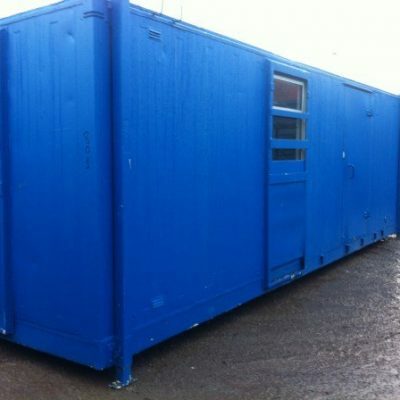 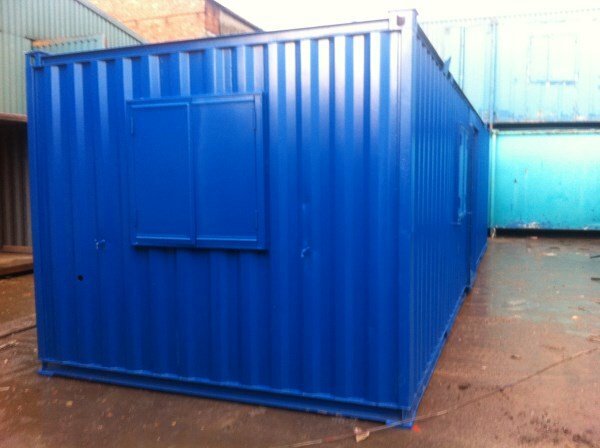 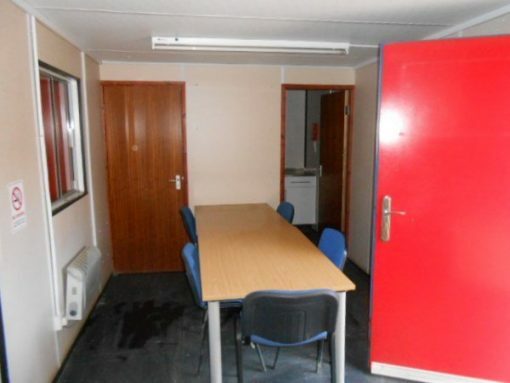 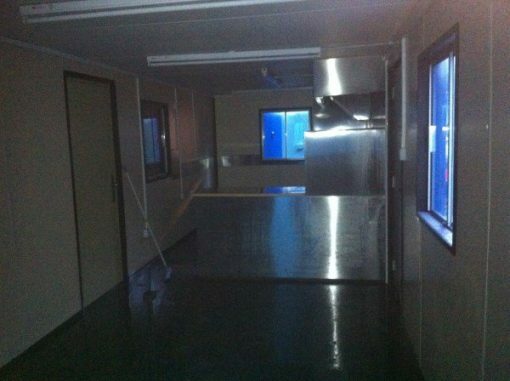 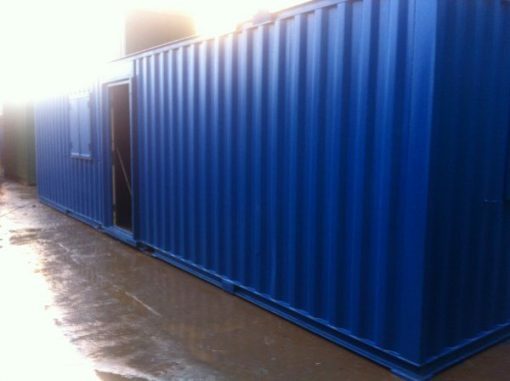 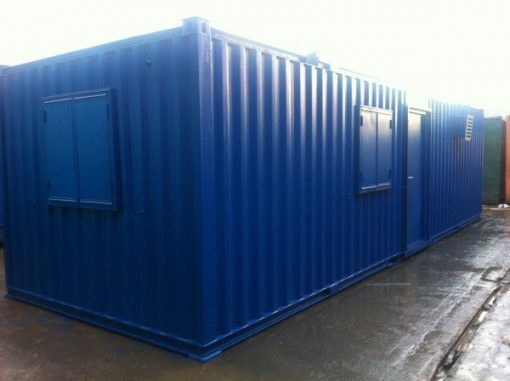 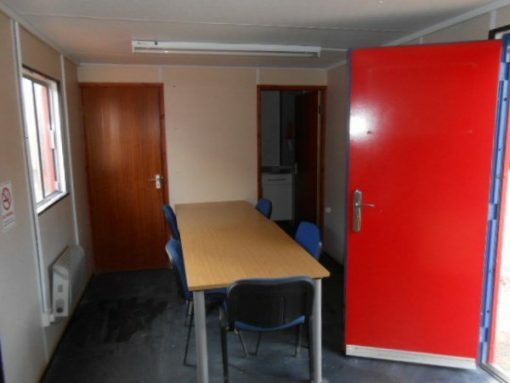 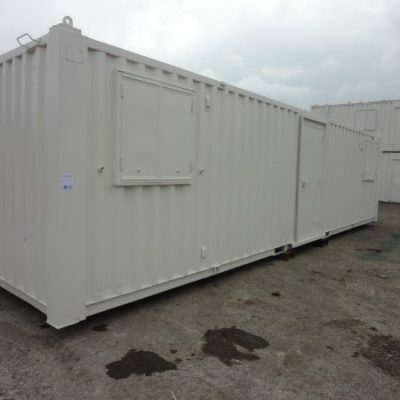 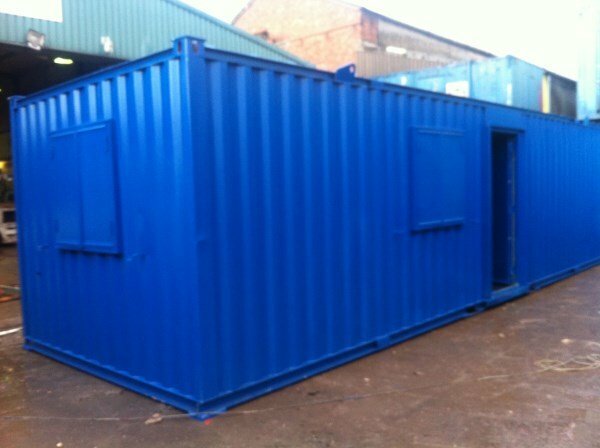 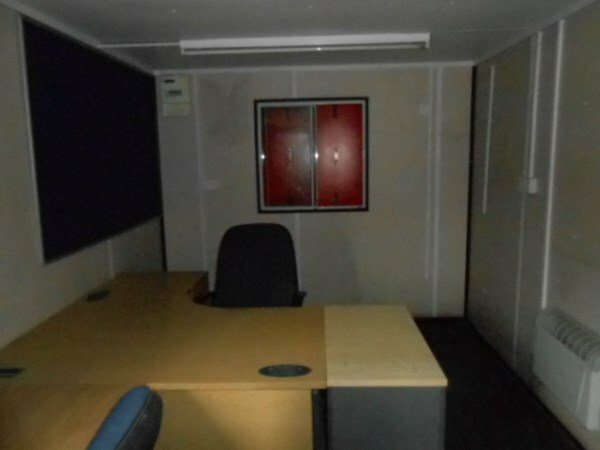 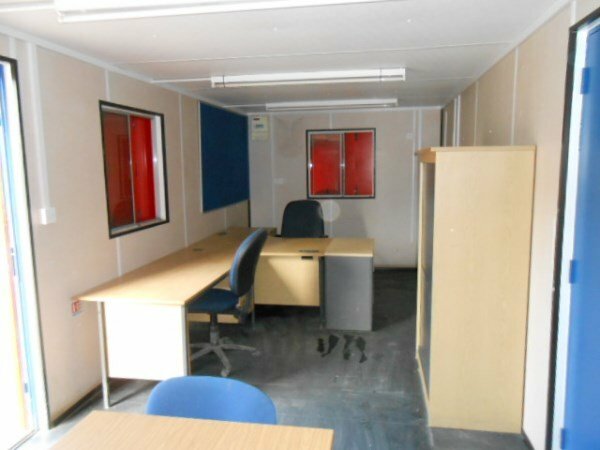 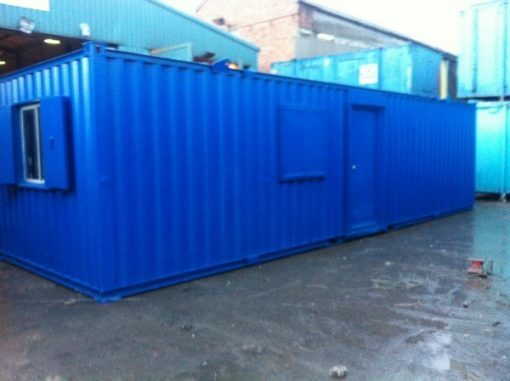 This Container Cabin is a 32ftx10ft Open Plan Office. 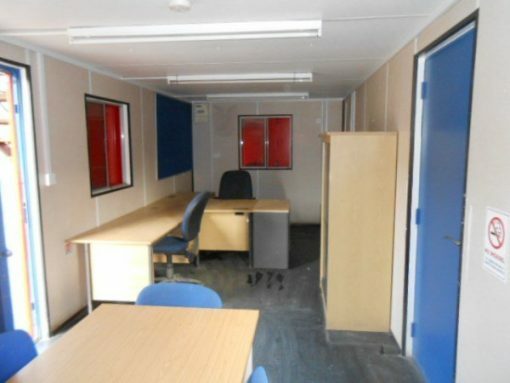 The unit has a door in the centre and has windows on each side, a total of 4. 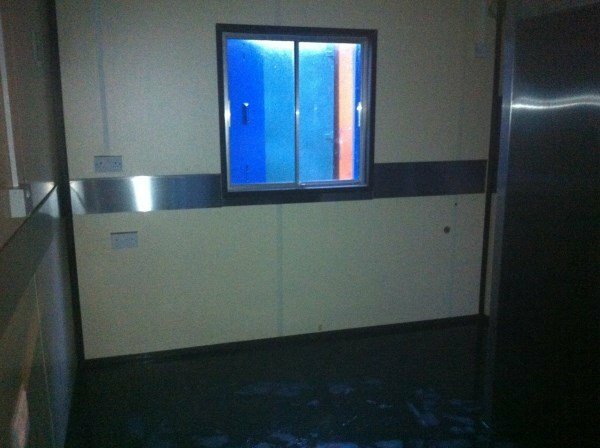 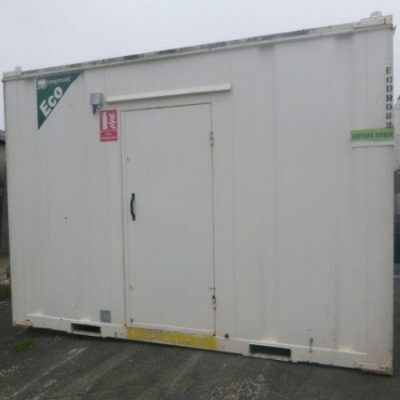 This unit has Electric heating and lighting, fully tested prior to being sold. 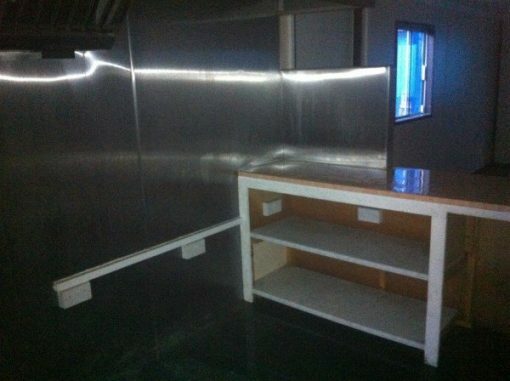 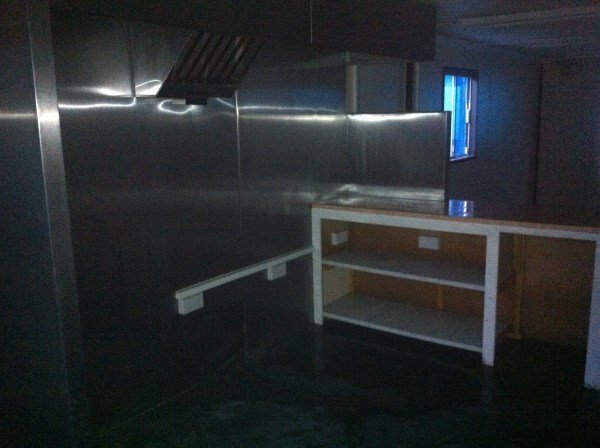 The unit shown in the images is the Cafe/Kitchen version, this specially modified unit type has stainless steel counters as shown in the images. 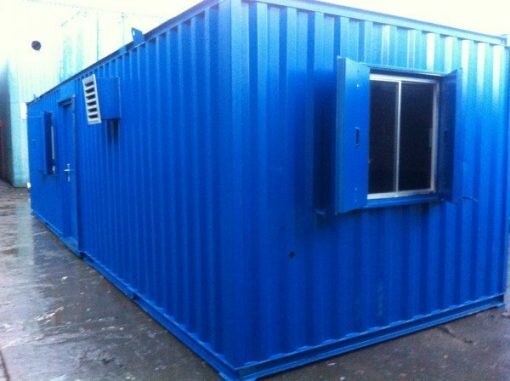 This unit type also comes in Office, Canteen, and Toilet.